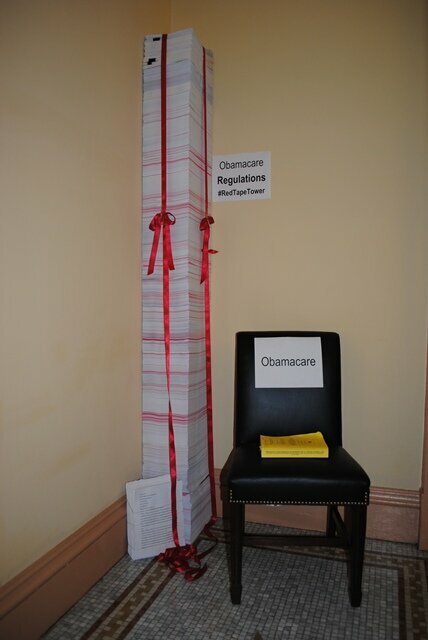 Well, Nancy Pelosi did say we’d have to pass Obamacare to find out what was in it. Apparently, one of the things that’s in it is federal agents being authorized to force their way into your home “for your own good.” Read it and weep. “This is not a “voluntary” program. The eligible entity receiving the grant for performing the home visits is to identify the individuals to be visited and intervene so as to meet the improvement benchmarks. A homeschooling family, for instance, may be subject to “intervention” in “school readiness” and “social-emotional developmental indicators.” A farm family may be subject to “intervention” in order to “prevent child injuries.” The sky is the limit. ….Last session South Carolina Rep. Bill Chumley introduced a bill, H.3101 that would nullify certain provisions of Obamacare. The bill would give the state attorney general the authority to authorize law enforcement to arrest federal agents for trespassing. It would make forced home inspections under Obamacare illegal in South Carolina. It passed in the House but died in the senate. Gee, when Obama and the liberals were trying to sell Obamacare to the American people, they certainly didn’t mention that it would mean hostile government goons could force their way into your home so that soulless, unelected bureaucrats can micromanage your life, did they? Every few weeks, some fresh outrage from the bill is revealed. So, how many more of these ugly little surprises are there in the law? Ultimately, if we want to stop this, we need to hold the House, take the Senate, and put a Republican in the White House in 2016. It’s not easy, but it can be done if we work hard enough.